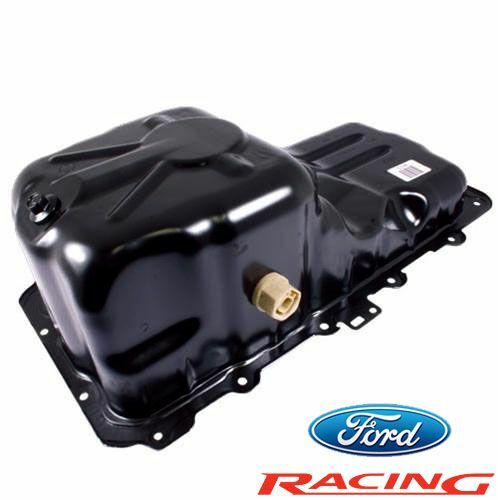 Oil sloshing around while braking and cornering causes oil starvation in your system and can cause serious harm to your Mustang GT, so get the Boss 302 Oil Pan with improved baffling to prevent such dangers. 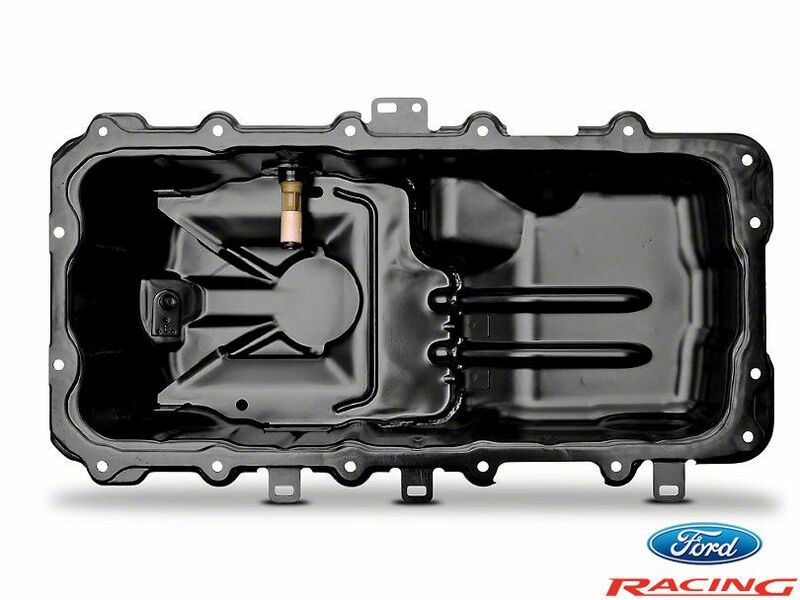 This oil pan appears stock, and has the stock capacity of a Boss 302, but has a better baffling system than the stock Mustang GT oil pan. Oil baffle is the process that helps prevent oil from sloshing around the oil pan under cornering, braking, and acceleration. When the oil is moved around frequently, the engine is starved in some cases of oil, which can lean to parts becoming unlubricated. Every engine needs sufficient lubrication to perform, and chances are your stock oil pan does not help with the lubrication process. 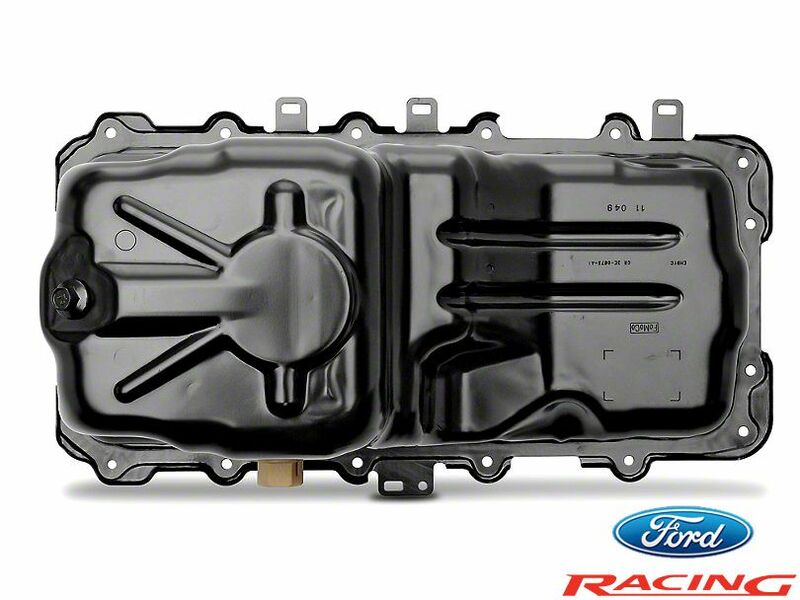 Aftermarket oil pans, or even some OEM pans such as this Boss 302 Oil Pan, help increase baffling, and decrease oil starvations. It is one of the first mods every driver should get if he/she plans on driving their car hard.